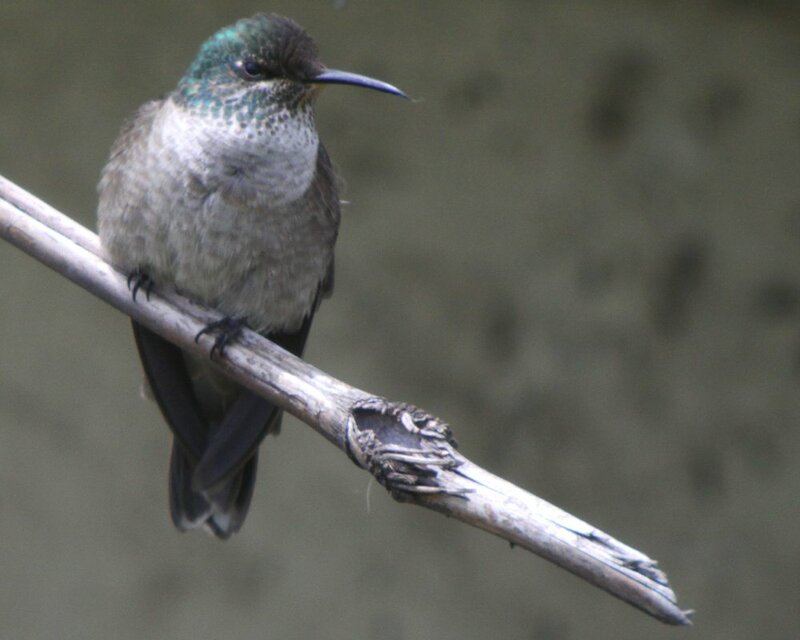 Bird Life International says the Ecuadorian Hillstar is a Species of Least Concern because of its large range, relative abundance, and lack of evidence of any population decline. 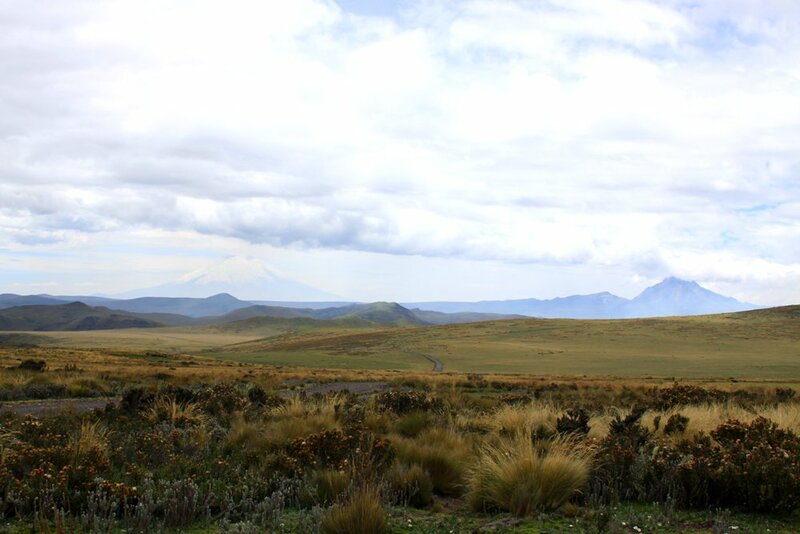 The range of the Oreotrochilus chimbarazo, which is at times called the Chimbarazo Hillstar after one of the volcanoes on which it can be found, is largely in the central Andes in Ecuador, though some are found in southern Columbia. Recently, the Ecuadorian Hillstar was featured in a series of disturbing print ads for Land Rover in the United Arab Emirates. We at 10,000 Birds would never allow our images to be used for such disturbing purposes, preferring to share them with like-minded nature-lovers. 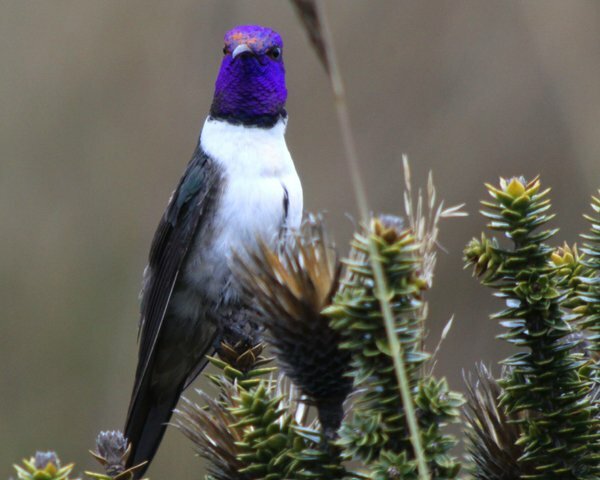 Enjoy this gallery of both male and female Ecuadorian Hillstars and here’s hoping that some day you manage to get to high elevations in the Andes and see them for yourself! 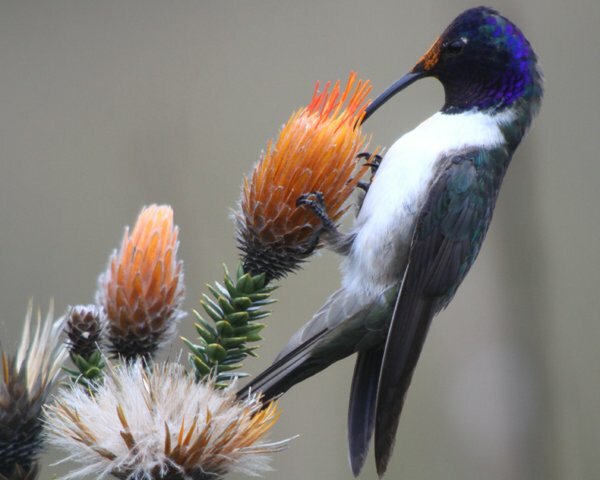 *Wikipedia says that no hummingbird lives at higher altitudes than the Ecuadorian Hillstar. 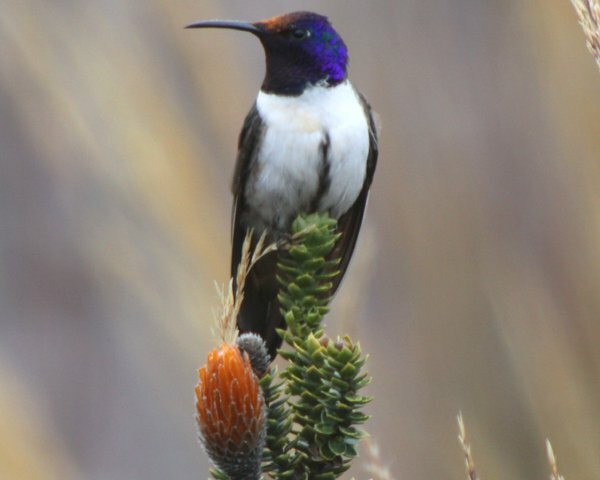 **All basic information on the Ecuadorian Hillstar in this paragraph is gleaned from Ridgely and Grenfield’s The Birds of Ecuador and from the Bird Life International Species Factsheet. 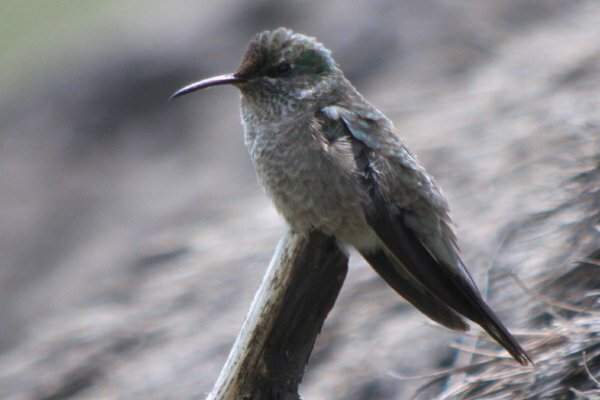 I saw one actually perched briefly on the ridgeline of Humboldt’s house last time I was at Antisana: now if that doesn’t sum up the Andean experience, I don’t know what does! Wow Corey! Congratulations, you took some very nice pictures. WOW! 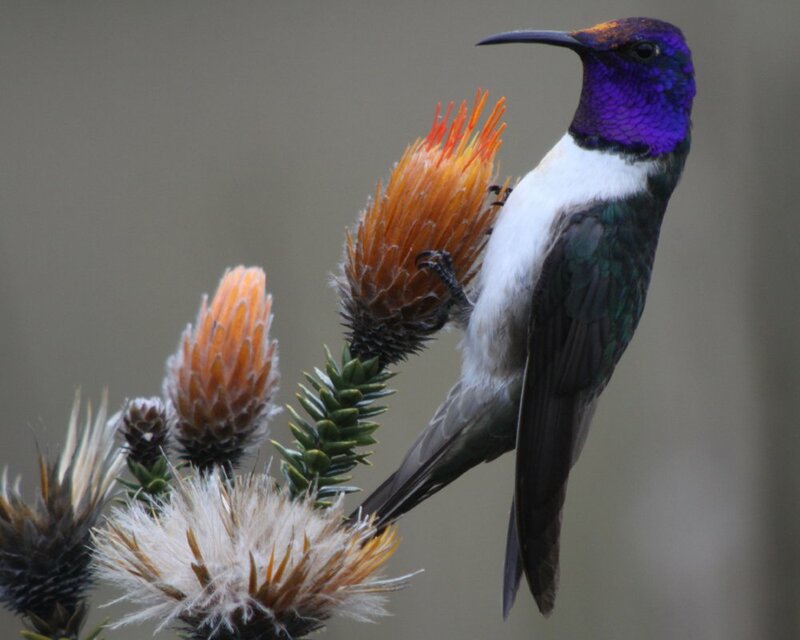 What a beautiful Hummingbird! 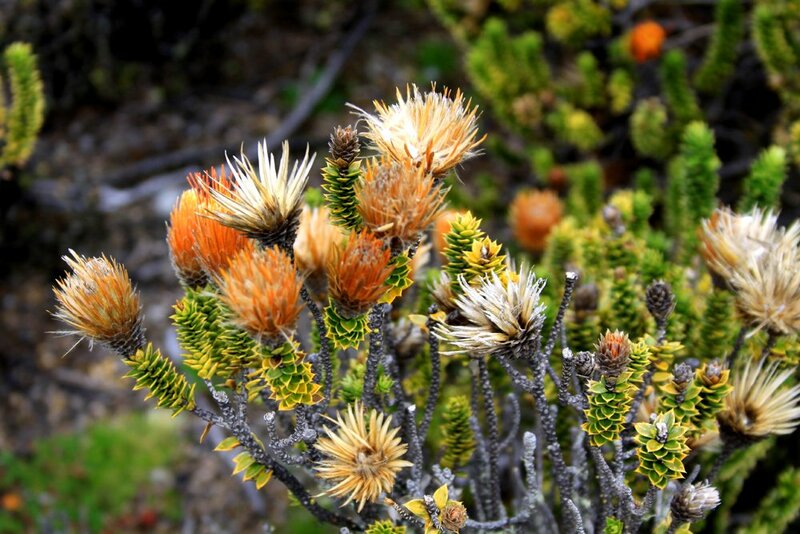 Your photos are fantastic! Awesome pictures! 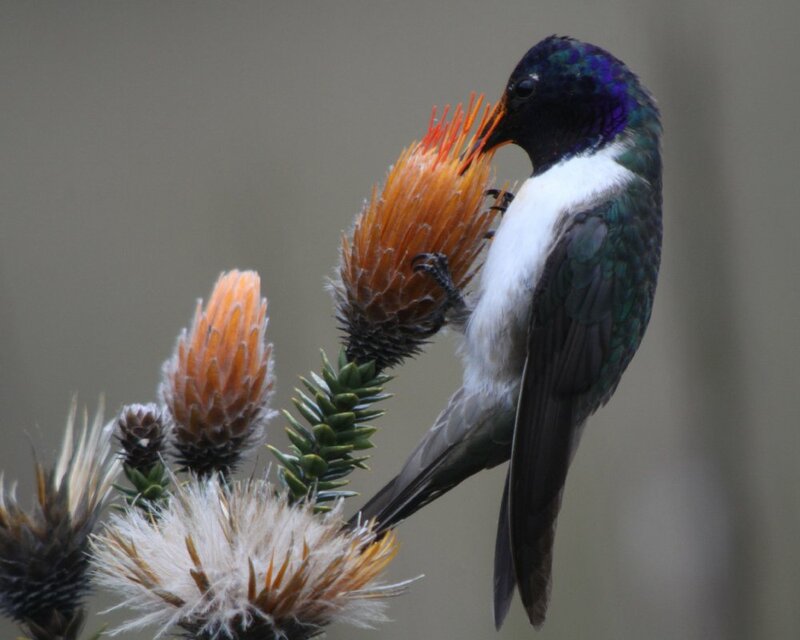 Could I use some of your photos for a presentation about pollination and high altitude adaptations? It’s absolutely non. commercial, and all credit will be given to you! Thanks a lot!